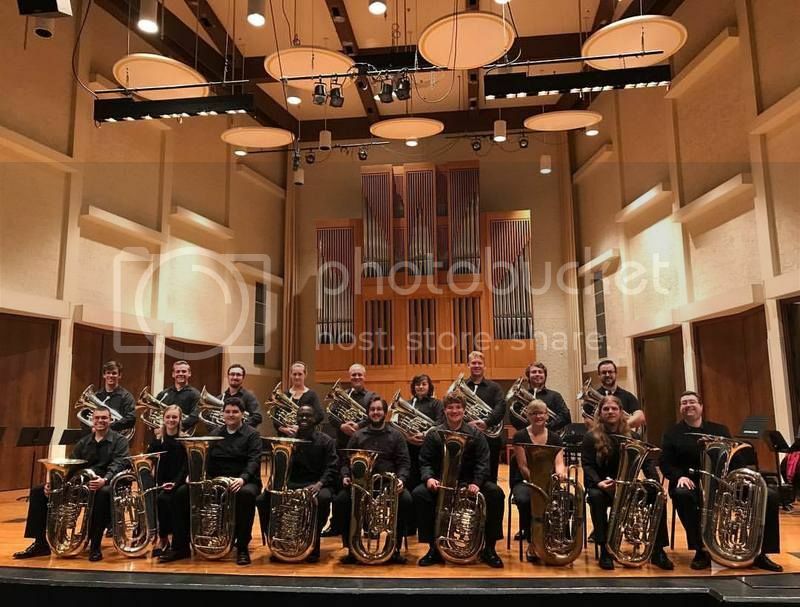 We have openings for both undergraduate and graduate tuba and euphonium students here at Middle Tennessee State University. MTSU has a number of guaranteed scholarships to those that qualify but the priority deadline to receive this is December 1st, 2018. If you are interested please visit http://www.mtsumusic.com or contact me directly at tuba[at]mtsu[dot]edu or by phone at 615-898-2476 and I can answer any questions. Housed in the College of Liberal Arts, the MTSU School of Music serves more than 500 undergraduate and graduate music majors and minors in Bachelor of Music and Master of Music degrees and specialized minors. Curricular specializations include: composition, conducting, jazz studies, music education, music history, music industry, music theory, and performance. The School provides myriad performing opportunities including five wind bands, three orchestras, three choral ensembles, opera workshop, vocal jazz ensemble, big bands, jazz combos, chamber music and percussion ensembles, steel drum ensembles, salsa band and commercial music ensembles. Located 35 minutes from Downtown Nashville, the School of Music houses an acclaimed faculty of 36 full-time and 40 adjunct artists-educators. Our faculty perform, compose, teach, conduct, publish and present their research or music continually, from South Korea to Costa Rica to Rome. The School’s low faculty-to-student ratio enables a high quality of personalized instruction, interaction and learning. Our prime objective is to fully invest in each student’s future, providing outstanding educational experiences that will help ensure professional success.